Today I want to explain the Delight exclusive mods and the Delight app. We keep on getting inquiries, on "how to change this?" & "how to change that?" So I want to explain it so everybody can understand. After pushing the Delight App this is the screen you will see. the actual app is based on an application called MiniCmd, very similar to the Cmd.exe in your computer. The MiniCmd is an app with about 30 predefined commands, such as e.g. copy, delete, run, makedir, run kill, sleep.... including more, and even with file set attributes. In the beginning status of the app, you had a MiniCmd for almost every small command and every one needed its on icon and resources to run. Huellif now has made a complete Qt / QML based Ui, which took a lot of man-hours to make, and was made to make things easier for everybody to use. 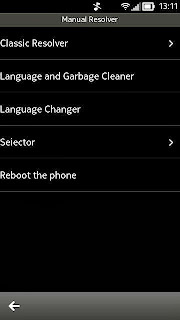 Language & Garbage Cleaner will look through C: E: & F: drive and clean out all un-used language resources and some caches. 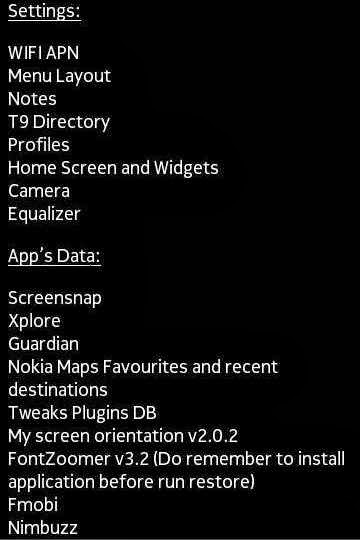 The caches will fill up on a day to day basis, and the un-used language reources are over-installed by apps. 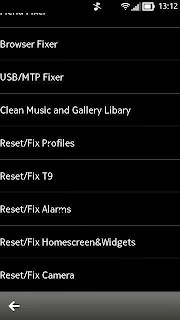 Reboot the phone is just exactly as it says. 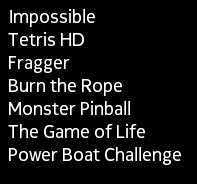 A reboot is needed for some mods to take place and this is just the easy way to do it. Registry Backup/Restore - backs up the Sisregistry files that are made after installing apps. 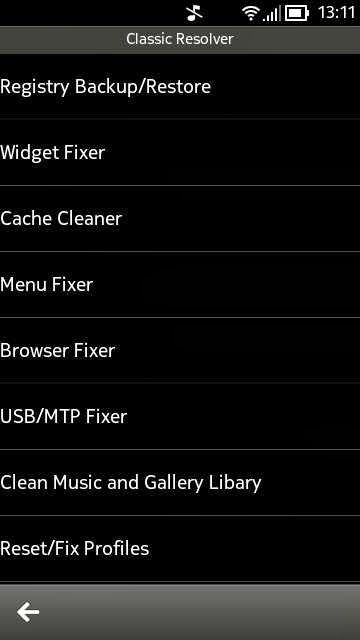 Its needed for people who want to restore their apps after hardrestting the device. 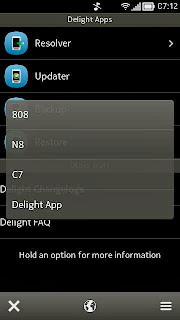 Updater - this application is needed after a Delight update has been released. Huellif made the Delight boot phases to run by themselves after flash. But it is needed when updating a Delight cfw for over more than one release. Why is this needed at all? Well, it copies all updated resources on C drive, that are not copied there after flashing via Update Software without Uda. So you get all the advantages of the updates we make, but without losing settings, data or installations. Hint: NO, this does not Update the complete Delight cfw.... a flash is still needed. 1. Some people gripe about space issues on C after flash, because other custom firmwares out there have more space to offer. But it isn't a problem, it is rather a feature. It's because the flashing file called "uda", which later is equivalent to C:/drive is completly empty. We put those files all into other flashing files that get copied to C after flash by "the 5 phases". 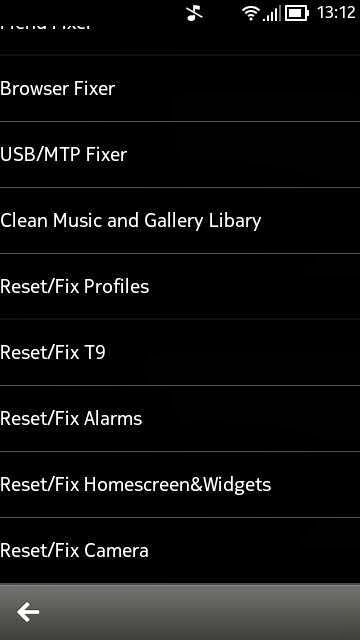 By doing this the Delight custom firmwares are fully hard-reset-able without losing ANY functions & it is part of the update-able and language-changeable Delight WITHOUT losing settings, data & installations. 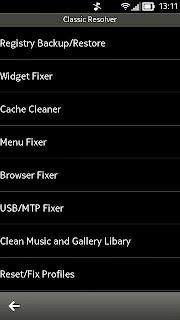 2. this is Delight exclusive, that the widgets skins are loading from C: drive. So the Delight app copies and overwrites the widget skins in C:/resource/apps from different folders.